With that said, there are still a few tweaks that I need to make to my stock portfolio before I can essentially let it go on “auto-pilot”. I decided it was time to trim some positions and book profits. FCU.TO was up about 25% or so from my cost basis and since I don’t believe a turnaround in uranium is in the cards this year, I was content with closing out my position and taking the gains. No, I don’t believe anything has changed with this exploration story, and if prices dip below C$0.60/share again, I might re-initiate a position here. In the meanwhile, my sole uranium play is Energy Fuels (UUUU), a proven mid-tier producer operating in the U.S. I still like the company, but I’ve got a few other “riskier” speculations in my portfolio, so to play it safe, I started to trim down my position… Unfortunately, only 5,000 shares got filled on the sale, so I’m still holding 10,000 shares… In the near future, I will be on the lookout for opportune entry points to sell off my remaining shares and to close out this position. Like FCU.TO, I sold 30,000 shares of FF.V to book some profits (about 29% gain). I’m still a huge fan of the company, but I got in at a really good price (thanks to the Gold Canyon arb opportunity). As such, I have no problems with saying goodbye and taking some chips off the table! 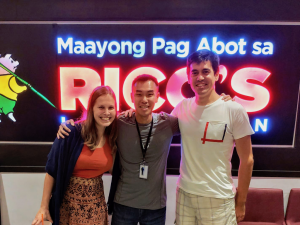 As Derek Iwanaka (Vice President of Investor Relations) mentioned in our latest podcast interview, the company is on the hunt for more distressed assets. 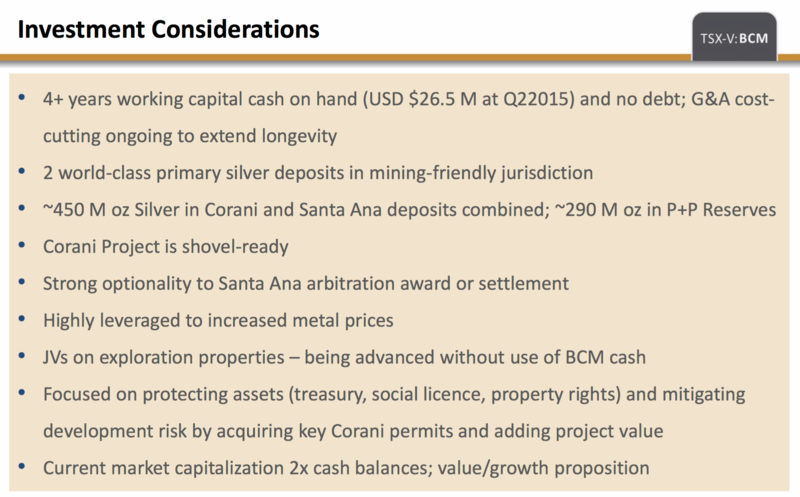 So, I’m expecting some more arb opportunities (like Gold Canyon) to emerge in 2016. If I can execute in a similar fashion, I should be able to again purchase more shares at a discount (hopefully). The Peruvian government said on Thursday it hopes to ease local opposition to Canadian miner Bear Creek’s stalled Santa Ana silver mine and avoid a costly legal battle with the company. Energy and Mines Minister Eleodoro Mayorga told Reuters that officials are rapidly building support for the project in indigenous Aymara communities and that Peru hopes to be able to allow the company to eventually restart work. The previous government revoked Bear Creek’s right to build Santa Ana in 2011 after protests against the proposed mine in southern Peru turned deadly. 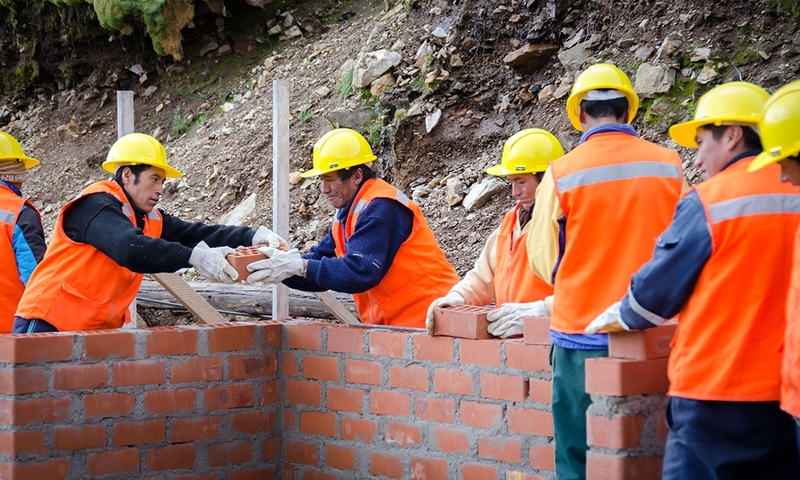 The company has said the project’s suspension violates investor protections under Peru’s free trade agreement with Canada. On Tuesday, Bear Creek announced it started arbitration proceedings in case talks with the government do not produce an agreement. 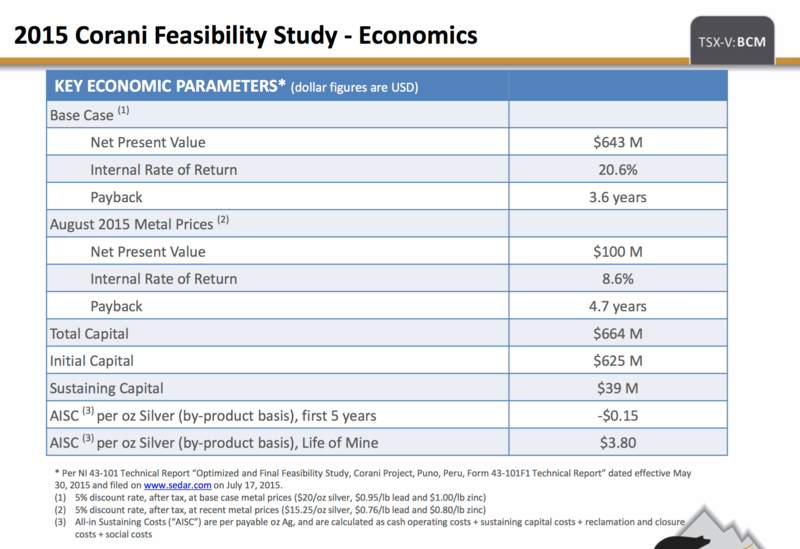 The company had planned to use Santa Ana to help pay for its bigger, $700 million silver project in Peru, Corani. Bear Creek expects Santa Ana to produce some 5 million ounces of silver per year and Corani to produce about 13 million. The current market cap is only C$55.23 million. That would be a HUGE win for the company and shareholders! However, if you believe (like I do) that silver is going to rebound sharply sometime in the next few years, I can’t really think of a better “non-expiring call option” to purchase than BCM.V. As mentioned above, the Corani project is essentially “shovel ready”. The final Feasibility Study was completed in June 2015. I’m terrible with market timing, so what I’ve elected to do with my portfolio, instead, is to purchase “non-expiring call options” on my favorite commodity ideas. I’ve got some cash available, so I’m just gonna be out looking for a good entry point… In this most brutal bear market for commodities, I’ve refined my strategy to chase after some of the more massive deposits out there. 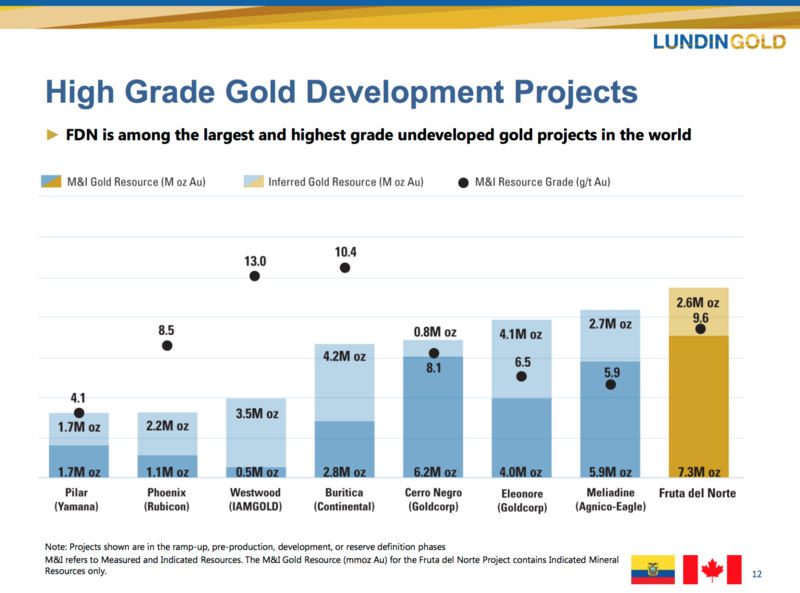 Once upon a time, Kinross Gold (KGC) paid $1.2 billion for the Fruta del Norte gold deposit… Lukas Lundin bought it from them for $240 million in cash and stock. And who doesn’t love a serially successful leader, like Lukas Lundin, who ONLY shoots for the moon? If anyone can make it work out in Ecuador, it’s Lukas Lundin!